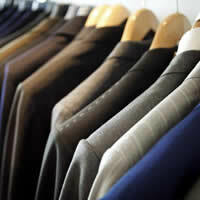 Choosing a jacket style, whether it is a casual, sporting, or suit is straight forward. Going the bespoke route is a whole load easier still because you have the benefit of your tailor giving you his or her expertise – ensuring you go for the best style to suit you. 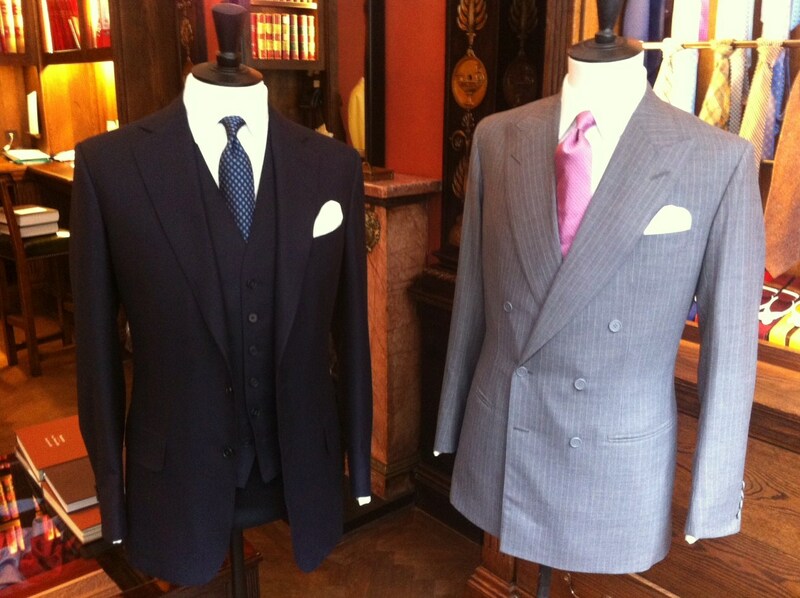 A Savile Row tailor will have a ‘house style’ and my fundamental advice on this is to go with it. If you find you are asking for things that are fighting against the house cut, then you are probably in the wrong tailor. 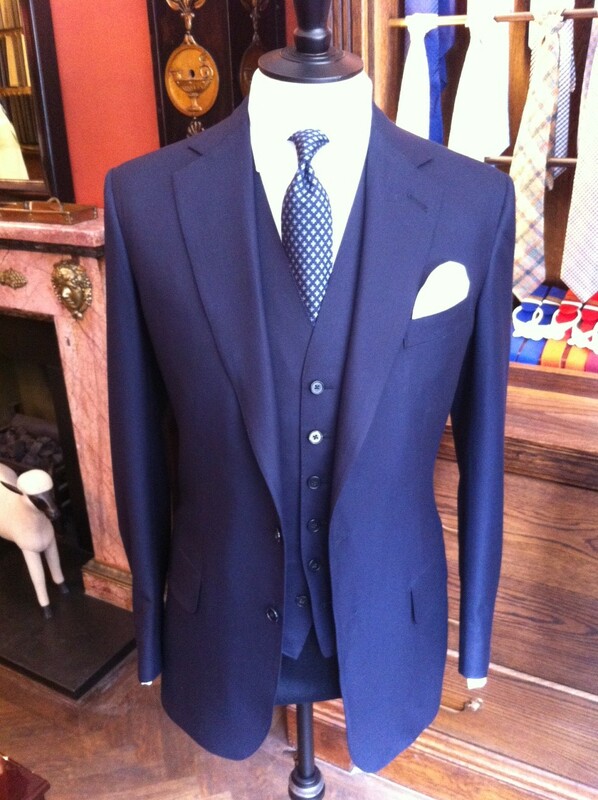 The point is to select the tailor and the house cut that you like and work from there. SB suit jackets and blazers typically have two or three buttons and a notch lapel. If you’re very tall it has a tendency to make you look very tubular, and if you’re very short it can make you look as if you are likely to explode out of it!) Therefore 2 button is a safe and stylish decision. From the 1930s onwards, peaked lapels, often on a single button jacket, have been variably in fashion, and this is now a classic, though slightly unusual, look. The width of the lapels is one of the most changeable aspects of the jacket, and narrow peak lapels on single-breasted jackets became popular during the 2000s. It’s very ‘fashionable’ so if you want something timeless that transcends fashion then you’d do yourself a favour by not employing it. I really like a generous lapel. What you are looking to achieve is a symmetry or balance from the width of your shoulders, to the width of the lapel, to the width of the tie. The DB refers to a coat or jacket with wide, overlapping front flaps and two parallel columns of buttons or snaps. In most modern double-breasted coats, one column of buttons is decorative, while the other functional. The other buttons, placed on the outside edge of the coat breast, are either decorative (non-functional) or functional, allowing the overlap to fasten reversibly, right lapel over left lapel. To strengthen the fastening, a functional inner-button, called the jigger, is usually added to parallel-fasten the over-lapped layers together from the inside. 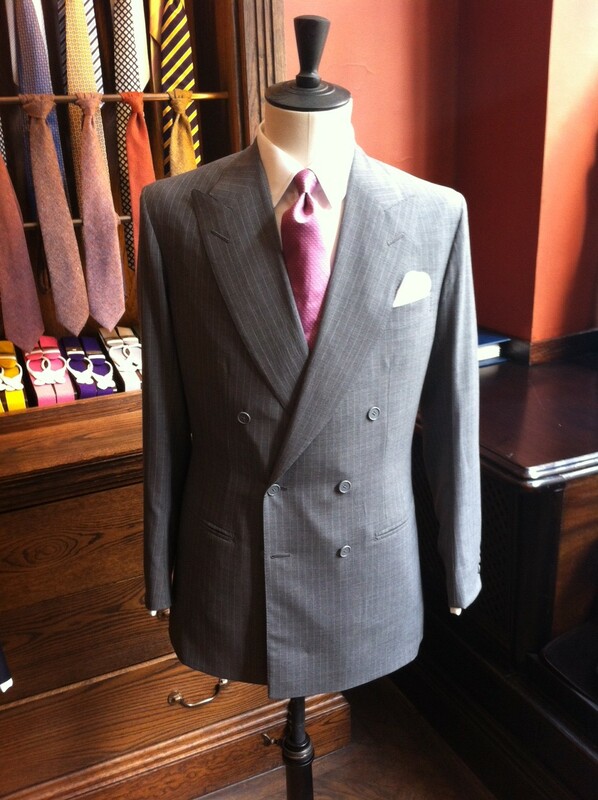 The DB originated from the naval reefer jacket and is a formal two piece where there is no need to have a waistcoat. There are little in the way of benefits of having a DB over an SB other than to say it might be a fraction warmer as you have essentially two layers covering your torso. The rest is down to personal style and taste. In recent years we have seen a return to their popularity. DBs have become more fitted and embraced a sleeker look. This, a difference to the era they were popular in during the mid-1930s until the late 1950s, and again from the mid-1980s to the mid-1990s. Straight is more classic and slanting is more sporty. As much as I’ve had both, I like straight pockets on both my suits and sports jackets. Outside ticket pocket or not? As with all pockets, if they have a practical purpose for you then use them / have them. If they don’t, then don’t. The ticket pocket was and is exactly what it says on the tin – a pocket used to carry your train ticket. I like them because I use them. Two are the norm and not only gives you a better continued back line but also gives you easy access to your trouser pockets. The single vent was born through riding on horse back, with the notion that the back of the jacket would splay and fall nicely either side of the horse’s back. I’m not a fan. Likewise no vents should be reserved for formalwear only in my opinion. In breast pockets and ticket pockets all hold a practical purpose for me so I have them and use them. Just don’t make the mistake of loading them up like a child trying to fill up his entire mouth with a whole packet of wine gums. It will change the look of the jacket, and won’t look great. And there you have it… Simple. Thank you James. I was just worried about the ticket pocket for this kind of event. I’ll follow your advice about the shoes, and enjoy the experience. Without reservation, you will be fine. Have a great time and make sure your shoes are shining bright!